Social Media Marketing can be very daunting. But trust me it’s incredibly reliable and easy to use once you’ve mastered a few tactics. Facebook has been the only source of lead generation for many industries and businesses. Not just personal training. Use Facebook advertising to its fullest potential. Once you have created your page you can start to launch your first Facebook ad campaign. FB's ad campaign process is relatively intuitive. But it can be troubling to navigate the first time around. You'll be asked what your marketing objective is. But for now, we'll stick with Lead Generation as our main objective. What if I told you, you could target your dream client to get them to work with you. Well you can do exactly that. This is a sample I'm using. But as you can see I have specifically targeted Males & Females aged from 30-65+ in the Toronto area. Not only that. They have an interest in Weight Loss and Physical Fitness. You can tweak your target to match your specific area and send ads to your potential dream clients. Once, you've selected your client targets it's time to set the placement of your ads, budget & schedule. The left hand picture below is the placement selection. As you know there are side banner ads and in-feed ads. Facebook also owns Instagram and they can post your ads via IG. If you're not sure where to have your ads placed, just stick with the recommended automatic placements. FB will optimize for the best conversions after it has gathered the requisite data. Next, your budget has to be determined. Generally, it's a good rule of thumb to start lower and then increase ad spend as you get results. However, that being said you need to spend enough money to reach enough people to see if your ad even works! Alright, we've reached the end. But it's arguably the most tricky part. 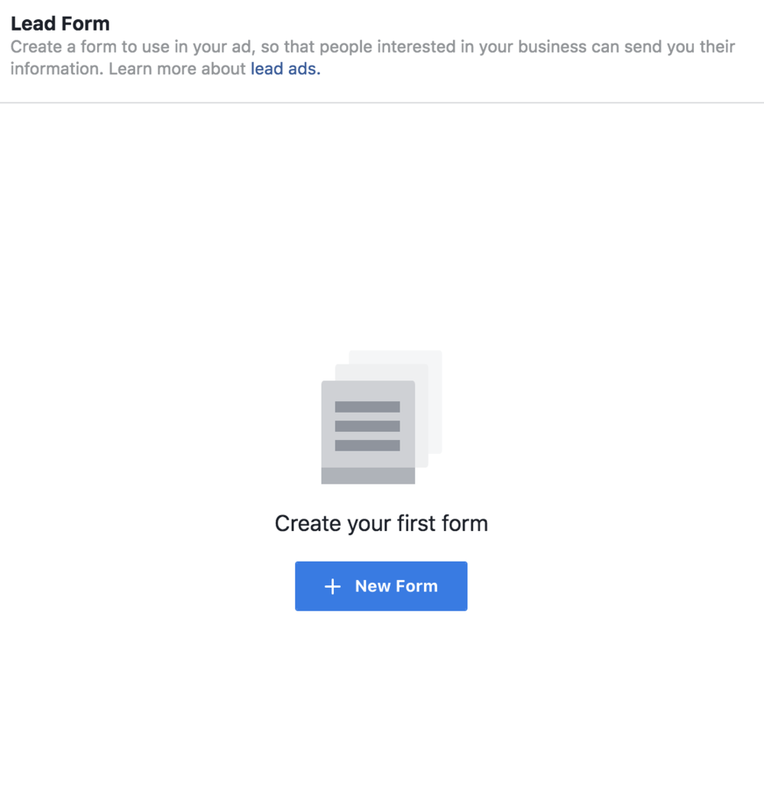 This is where you actually create your ad and the lead form that potential clients will fill out. I will have to create another article outlining the best practices on creating a FB ad and what exactly draws people into clicking your ad. For now, my advice is to be very experimental. Try everything, once you find out what works you can double down on your "perfectly" crafted ad and generate clients like no tomorrow. The lead form is also simple, it's just a form you create to book and qualify potential clients. After that you're done! Make sure you ad is within the FB guidelines and confirm your ad. That's about it! You're now a FB ad master. Well... not exactly. I will be writing more articles are the art of creating FB ads. Once you master these, you will be bringing in leads like no tomorrow. What I've outlined was the pure basics of Facebook advertising. With what I've shown you, you can begin to test and experiment with Facebook ads. We can go through best practices for curating a FB ad, how to use A/B Testing to your advantage and much more. If you'd like to work with me to generate leads specifically to your situation. Book an appointment with me and let's chat.